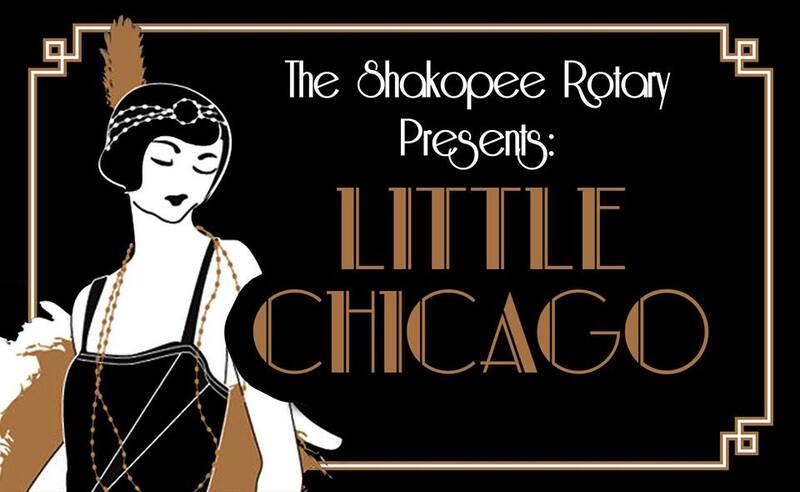 Mark your calendars for our 2nd Annual fundraiser, “Little Chicago” – Shakopee’s Own Speakeasy & Casino. Take a trip back in time to the roaring 20’s, when the Gin was cold and the Jazz was hot! Put on your fringe, feathers & fedoras, 1920’s and 1930’s style. Whisper the password to enter the Speakeasy…. This fun event will combine casino-style card games, the opportunity to win some great prize packages, live Jazz band, photo booth, food, and a silent auction. Tickets are now available online! Once you make the purchase, you will have the option to print your ticket or download your ticket on the Eventbrite app on your phone. If you would rather get your ticket in person, from your Rotarian friend, they will also have hard copy tickets to sell! Tickets purchased from a Rotarian are $40 each. The online fee doesn’t apply. With almost 400 in attendance last year, you don’t want to miss this event! All proceeds will again be used for the various projects the Shakopee Rotary is involved in throughout the year. The projects and donation requests we receive, are all within our community and the surrounding area. We appreciate you helping us, help our community! Service above self!